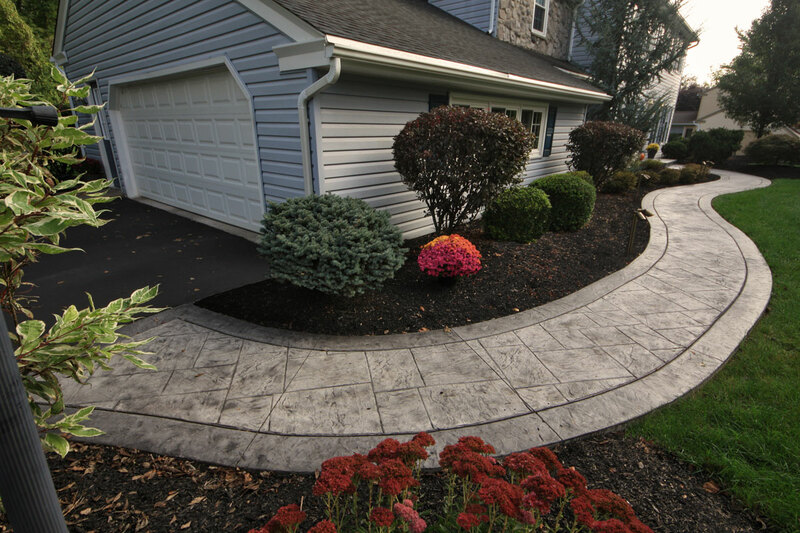 Our client’s property has an existing front walkway leading from the driveway to the front door. 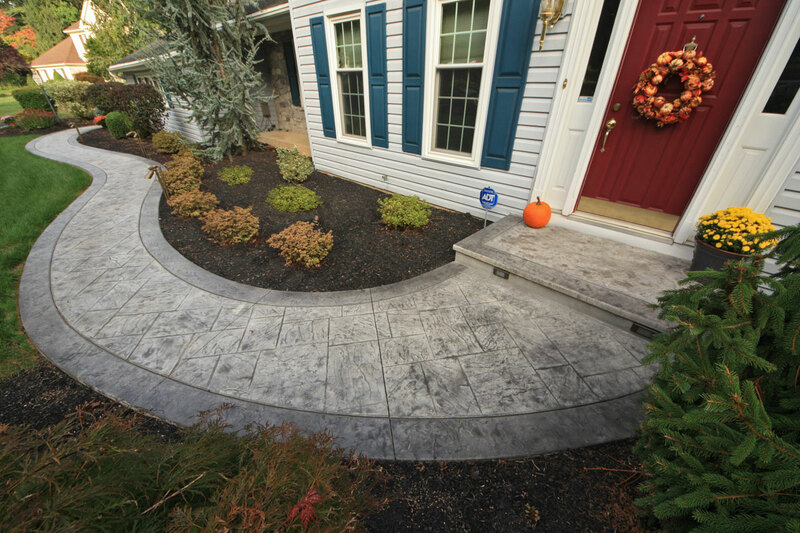 A landscaping bed covers the area between the walkway and house. 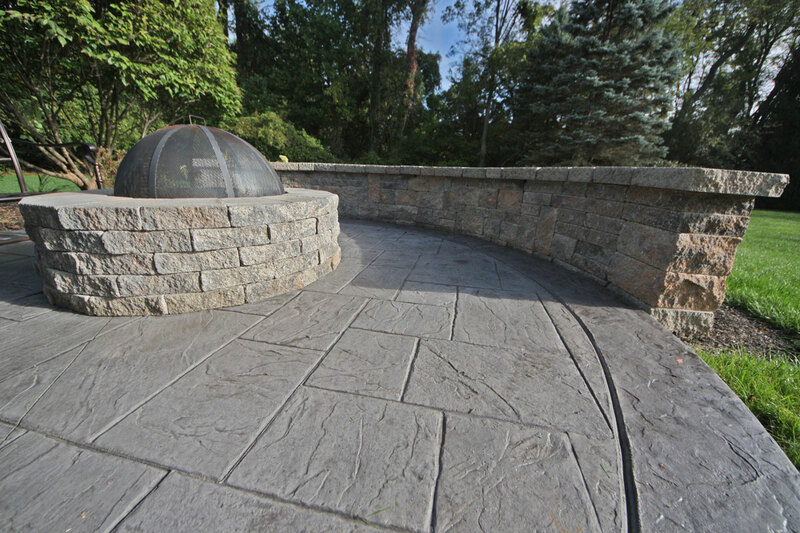 There is a landscape bed at each of the outer part of the walkway as well. The backyard recently had a sun room installed. 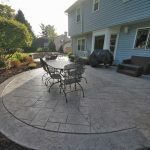 There is an existing concrete and paver patio to the southeastern side of the new addition. A few large shrubs against the house are overgrowing their space while there is a Japanese Dogwood sits comfortably twenty to thirty feet into the yard. The backyard is flat and gets quite a bit of afternoon shade, especially against the house. 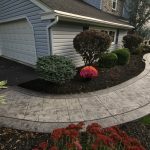 Our clients wanted to update the front walkway with a more modern look. 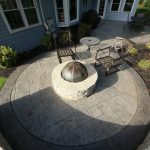 They also wanted to remove the old existing patio and have us create a complete backyard makeover. 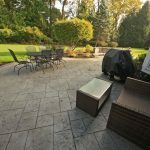 They wanted to incorporate entertaining areas and dining areas in one large patio and add landscaping to replace the overgrown shrubs and add color around the patio. 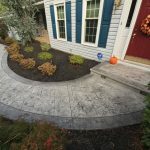 We ended up installing the front walkway first and came back to install the patio after construction for an addition in the backyard was complete. 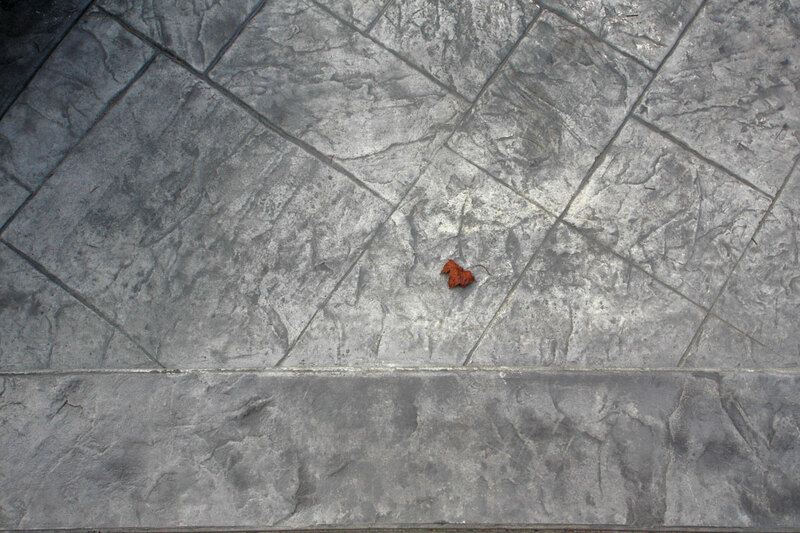 The walkway is four feet wide and flares out into the driveway as well as the six foot wide concrete stoop. 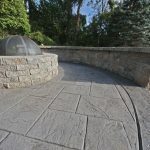 The serpentine style walkway is of platinum gray color with a vermont slate pattern and includes a darker charcoal color border. 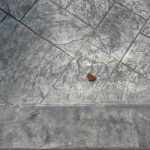 We used the same style pattern and color for the backyard patio. 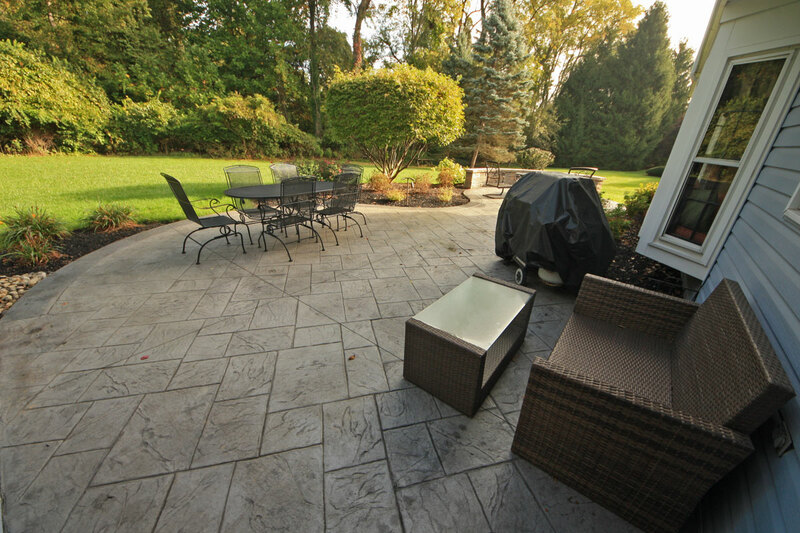 For the backyard patio design, we created one large space right directly outside the new addition. 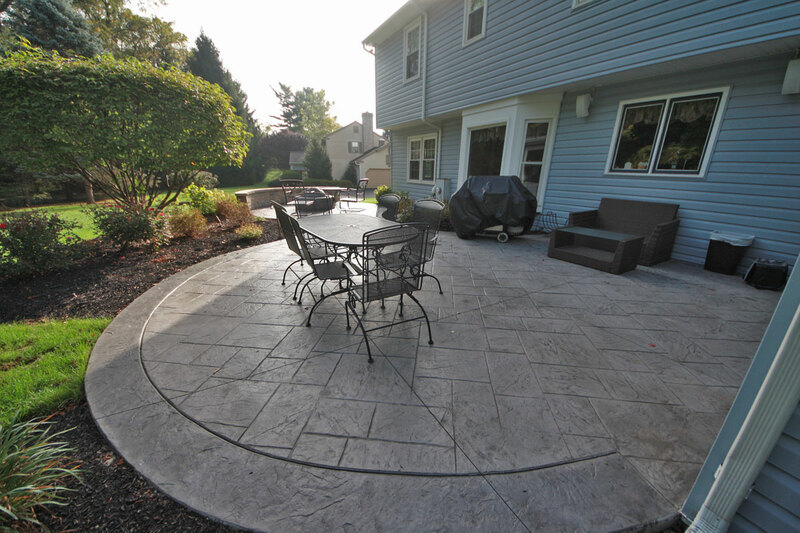 As the patio moves out further from the house we created curves in the patio design to create planting beds. 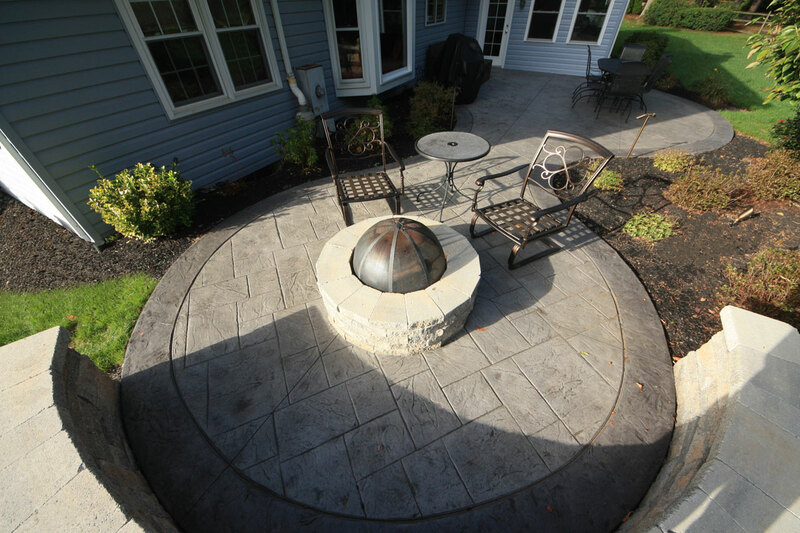 At the far end of the patio is a fire pit area which accommodates a Techo Bloc seating wall and fire pit. 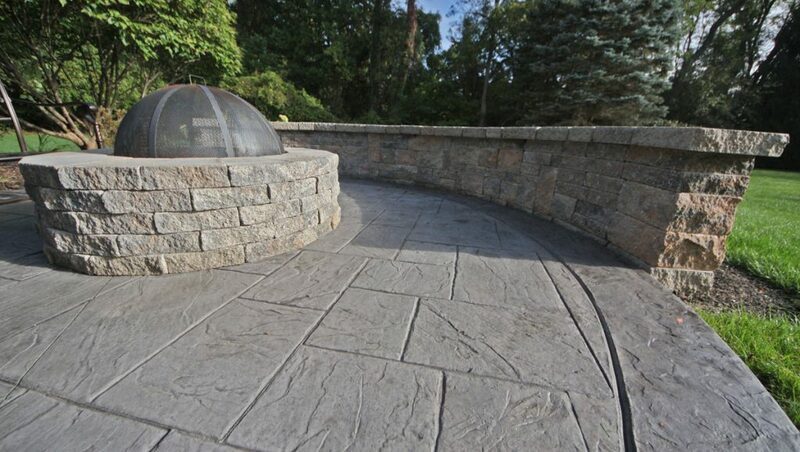 We added lights in the seating wall and around the patio and walkway to complete the design of the front and backyard.